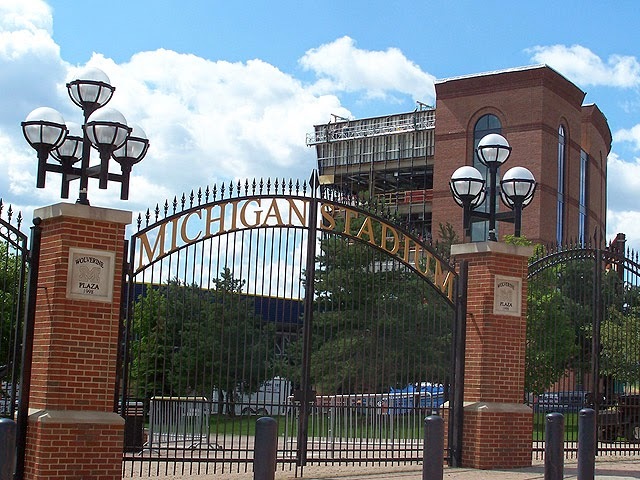 The other week, I wrote a post about Michigan football, and the similarities between some of its institutional decisions and a few church entities, namely General Theological Seminary and Mars Hill Seattle. Each had made choices that in the public eye ranged from questionable to outrageous, and then made things worse by circling the wagons and bending over backwards to justify them to others. Michigan's staff had allowed a player with concussion symptoms to continue playing, then issued a series of statements ranging from defensiveness to pleading ignorance to an admission of wrongdoing piled under excuses. General Theological Seminary fired eight faculty members after they organized a walk-out to demand an audience with the trustees. Mars Hill Seattle has been dealing with a swarm of controversies, mostly related to allegations of Mark Driscoll abusing power, and being abusive besides. Nine pastors from Mars Hill's various churches signed a letter bringing such charges. Among other responses, Mars Hill removed them all from leadership. Here we are about two weeks later, and each of these situations have changed. Whether each has changed for better or worse is mixed. At Michigan, the Board of Regents gathered to hear the grievances against Athletic Director Dave Brandon. Among others, they heard from the student body president and another student who started a petition to fire him. This, as well as other actions, have resulted in the student government and athletic department collaborating on some new policies, or changes to existing ones. At General Theological Seminary, the trustees issued a statement stating they haven't found any wrongdoing on the part of the president after an "extensive discussion," and have given the eight faculty members the option of applying for provisional reinstatement. At Mars Hill Seattle, Driscoll issued a letter of resignation, and their Board of Overseers has issued a statement essentially defending him from the majority charges of wrongdoing and declaring him still eligible to serve in ministry down the road. So we have a new willingness to collaborate, a decision made without dialogue, and a resignation with a pile of caveats tacked on. The first and third instances might provide glimpses of hope, but still caution or continued reason for critique. The second situation hasn't improved at all. At any rate, we see here a range of responses that institutions may take, each imperfect. But not all imperfections are equal. In each of these situations, the boards entrusted with decisions have a lot at stake; an entity or a brand to protect. Is that a valid excuse for how each of these have handled their own situations, either past or present? I'd say no. This is the ever-present danger that an institution faces: protecting itself over and against accepting critique from injured parties. Some of these have heard such critique better than others. But an entity that can't change or evolve in response has a questionable future.